If you need a few moments of peace and quiet in your life, we know where to find it. Just past Ditto Landing off Hobbs Island Road is a magical section of the Tennessee River that’s perfect for paddling away from it all. 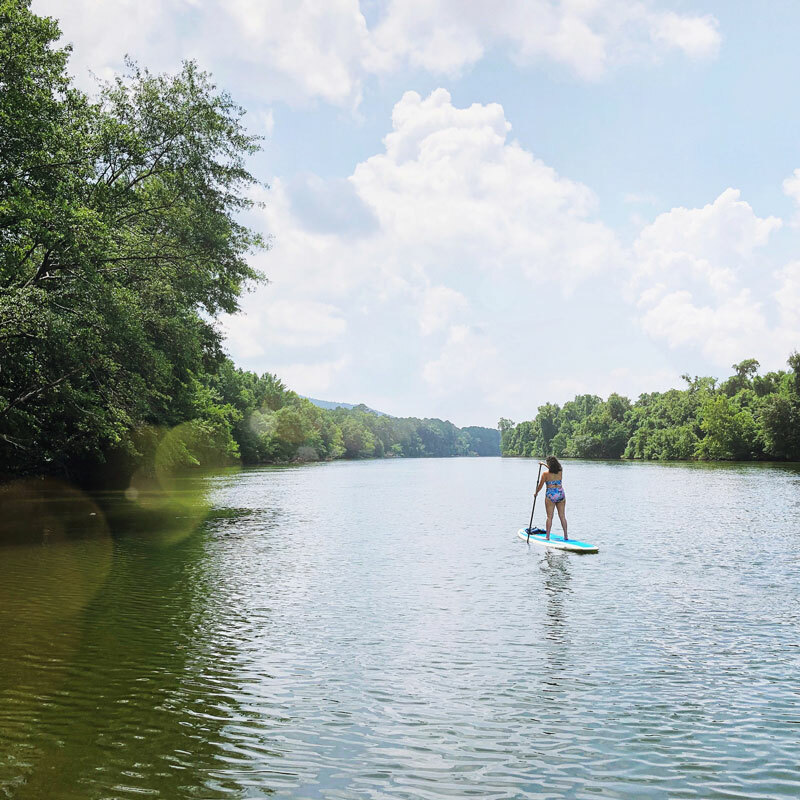 And, thanks to the husband and wife duo behind Forrest Stand Up Paddle Boarding, adventurers of all abilities and ages can explore the Tennessee Valley waterways at their leisure to uncover their own bit of zen out on the water. Ready to go? The staff from Forrest Stand Up Paddling makes it easy for first-timers and experienced paddle boarders to enjoy the water. Once you’ve checked out your board and paddle, a member of their team will walk with you down to the dock. All the while they are offering tips on where to go and how to keep your balance. Once on the dock, they’ll show you how to get on the board and properly hold the paddle. Then, they’ll actually hold the board steady as you climb on top and you get your sea legs. From there, they’ll paddle about a quarter of a mile down the channel with you to help evaluate your stance and make sure you really are comfortable on the board. It’s that sort of patience and commitment that will not only instill confidence in your abilities but also ensure that before you’ve even completed your session you’ll be fully committed to another trip. While this waterway is technically part of the Tennessee River, you’ll quick see it’s actually a channel that feeds into the Tennessee River from Hobbs Island and Ditto Landing. That means the water is extremely calm and the current is easy to manage (another reason to give this a try if you’re a newbie!). The Forrest Paddling team recommends that you head against the current for your first leg until you see a lighthouse peeking out over the treetops. To and from the dock, your trip is two miles with that marker in mind. However, if you’re paddling with a purpose, you’ll be able to paddle that length in under an hour easily. As you get farther away from the dock, you’ll feel like you’re a world away from busy Ditto Landing. Sit and relax on your board just past the lighthouse to take in the view or spend a few moments just standing still to take in the riverbend and wait for the occasional fish to jump in the distance. To truly embrace the go-with-the-flow mindset, take some time to lay back on your board and catch a few rays. On the way back in, let the current take you past the dock about a quarter of a mile so you can savor the last few moments you have on the water. The team from Forrest Paddling won’t mind if you’re five minutes behind schedule — they understand the feeling all too well. A two-hour equipment rental is $35 per person. This rental fee includes life jacket and a short safety course. Forrest Paddling also offers a two-hour guided trip for $45, and private lessons are $55 per person for a two-hour session. All sessions must be booked in advance, but payments can be made on arrival with cash or card. It’s important to note that Apple and/or Google Maps aren’t fully reliable. It’s recommended to go with the address a Forrest Paddling team member gives you ahead of time as well. Five feet of bubbly enthusiasm and cheesy jokes, Corinne is happiest when she&apos;s exploring. She&apos;s a huge fan of hiking and kayaking, especially in the North Alabama area. But she won&apos;t say no to a happy hour deal or a mural photo opp for Instagram. 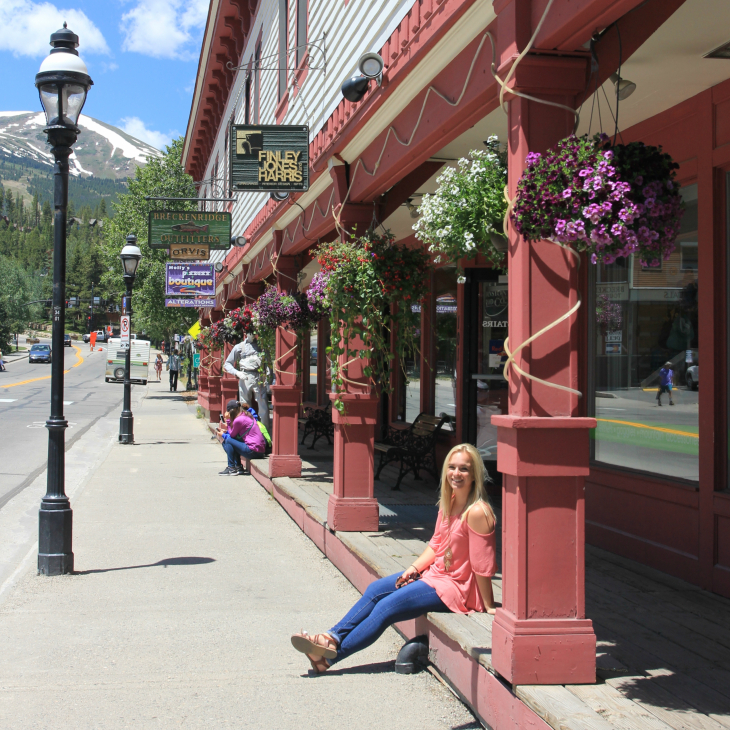 When she&apos;s not traveling or exploring Huntsville, she&apos;s writing for her blog Five Foot Explorer. Five feet of bubbly enthusiasm and cheesy jokes, Corinne is happiest when she's exploring. She's a huge fan of hiking and kayaking, especially in the North Alabama area. But she won't say no to a happy hour deal or a mural photo opp for Instagram. 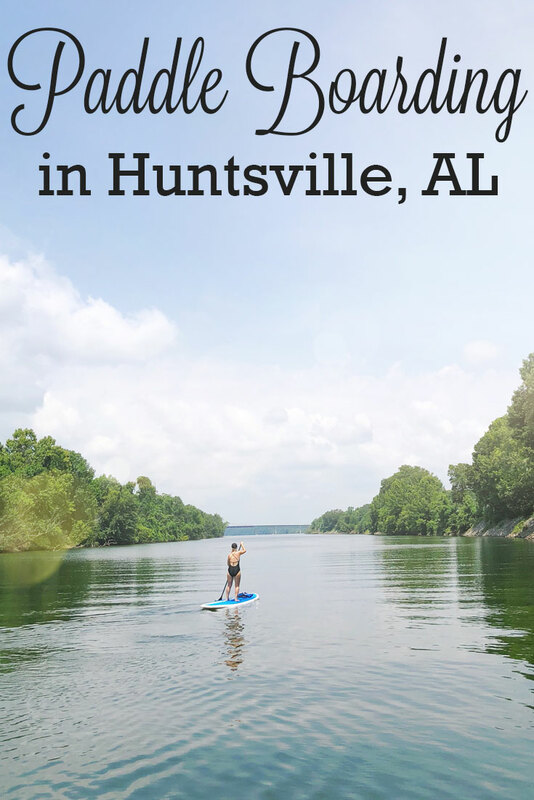 When she's not traveling or exploring Huntsville, she's writing for her blog Five Foot Explorer.